In the upscale, rural, wine and wilderness town of Los Gatos, there are plenty of formal dinner options. I’ve done a good deal of fine dining in the area, but on this particular evening I just wanted something a bit more low key. 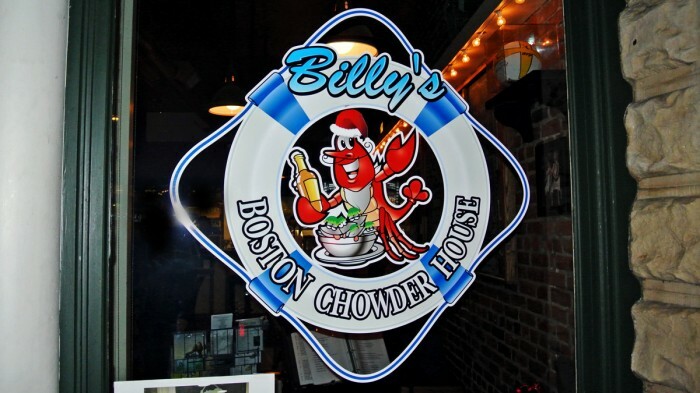 Given my mood and my craving for seafood, I decided to check out Billy’s Boston Chowder House to see if they could carry the flag for Boston in Silicon Valley. 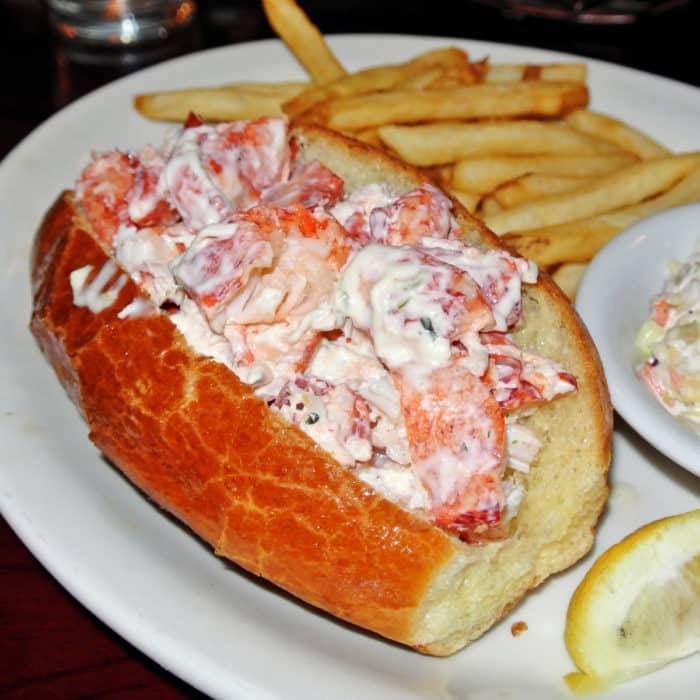 Billy’s claims to serve authentic Bostonian dishes and even flies a bunch of the harder to find seafood in directly from the Boston area. In their corny attempt to further convince us of their Boston authenticity, they even misspell items on the menu with a Boston accent like “chowda” and “oysta”. I don’t think that’s really necessary, but it also doesn’t really bother me either. All I truly cared about was getting an enjoyable East Coast seafood dinner in a casual atmosphere and Billy’s provided exactly that. 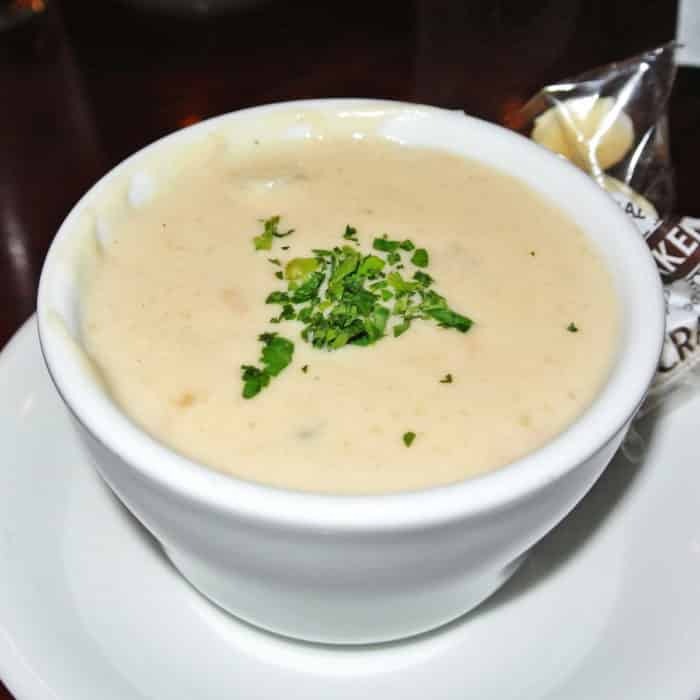 I started my meal off with a cup of their New England Clam Chowda which was hot, thick, creamy, and very satisfying. This was a really a great way to start off the meal. The soup had a ton of tender, delicious clam pieces scattered throughout along with many large, softened root vegetable hunks. It was tasty and fairly straight forward, but still really enjoyable and exactly what I was looking for. Next, we shared an order of Ipswich Whole Belly Clams. I didn’t have really high expectations ordering this East Coast specialty, but I was truly blown away by how incredibly good these fried clams were. These were definitely some of the best fried clams I’ve ever had the pleasure of eating and that’s saying a lot since I was consuming them in the Californian woods. The crispy, fried clam strips were particularly great because they included the pleasantly plump, sweet, and tender clam bellies in addition to the standard strip. Every single fantastic tartar sauce covered bite melted in my mouth. 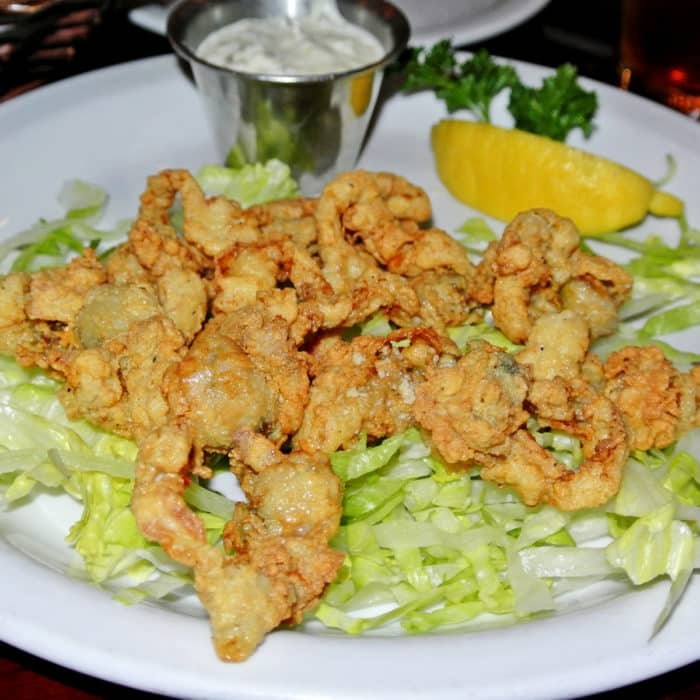 In my opinion, it would be worth a trip down to Los Gatos solely to get another plate of these clam bellies. After that, we had an order of six Oysta on Half Shell. These Delaware Queen’s Choice oysters were quite large and looked incredible, but they ended up tasting just like any other basic oyster. I doctored them up by squeezing a little bit of lemon into the natural oyster liquor and slurped each slippery sea-creature down in a single, large gulp. 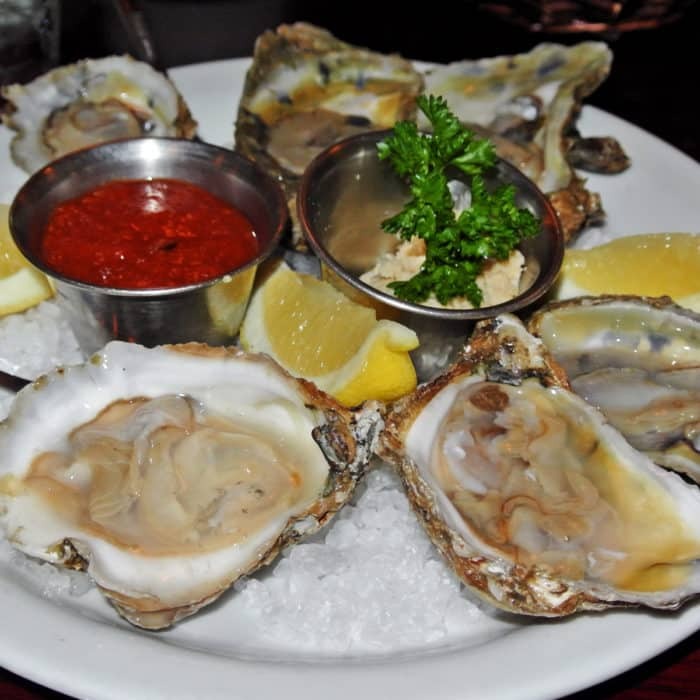 But, they were just pretty plain and were no better than your standard happy hour oysters. For my main course, I went with the Amazing Lobsta Roll which really looked absolutely magnificent but I think “amazing” may be a bit of a stretch. The split-top brioche bun was utterly overflowing with lobster meat which was ‘dressed’ in tarragon-mayo. But, I think the brioche bun was the element that made this dish into something special. It was light, flaky, and crispy and served as a perfect vessel to transport the lobster chunks directly into my mouth. The lobster meat was tasty and subtly sweet, but I think I’ve been spoiled by the absolutely incredible lobster rolls I regularly ate in NYC at places like Luke’s and Red Hook Lobster. This lobster wasn’t bad by any means, in fact it’s quite good for the West Coast. But, when all the lobster has to be flown across the country, there’s just no way it’s going to be as great or fresh as the stuff on the East Coast. So now I know. From now on, I’ll just stick to the locally fished dungeness crab when I’m in the mood for a seafood sandwich in the Bay Area. Lesson learned. 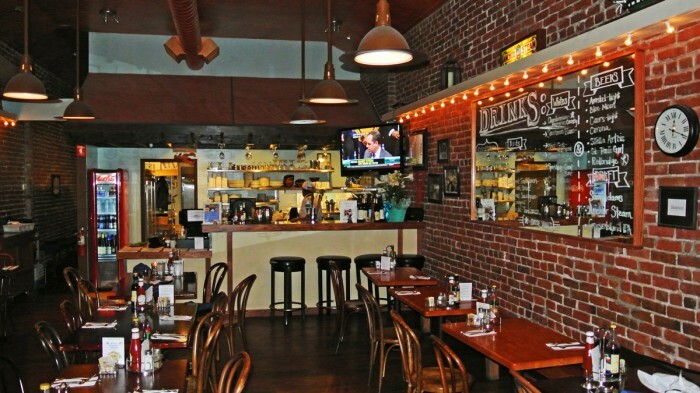 In conclusion, though certain dishes were not as exciting as I would have hoped for, Billy’s is still a great option in Silicon Valley if you’re looking for some delicious seafood and a taste of the East Coast. They whip up some really nice renditions of New England classics, but those incredible fried Clam Bellies are the real reason I’d return. Got another seafood-focused spot in the Bay Area I should check out? Let me know in the comments below.